A controversial billion-dollar citizenship-for-sale business led the elections firm to conduct clandestine campaigns across the Caribbean, insiders say. In 2010, as elections neared in Saint Kitts and Nevis, a grainy hidden-camera video was uploaded to YouTube. In the anonymously produced clip, voters across the small Eastern Caribbean island nation saw prime minister candidate Lindsey Grant in a hotel room, listening as a British-accented property developer promises him a $1.5 million payment in exchange for a bargain price on a plot of government land. The video went viral in Saint Kitts, and the incumbent prime minister, Denzil Douglas, was soon re-elected for a fourth term. Douglas denied any knowledge of the sting operation, but across the Caribbean, speculation swirled that it was the work of a clandestine London-based political consultancy: SCL Group. The now-defunct Anglo-American firm has gained notoriety for its harvesting of Facebook profiles and shady campaign tactics, but the storm of controversy has been building for decades. Before its younger sibling, Cambridge Analytica, worked for Donald Trump, SCL Group claimed to have built a portfolio of political work in three dozen countries, deploying its “behavioral change” tactics in sometimes shaky democracies. In the Eastern Caribbean, where SCL quietly operated in at least six countries, some of its work had an indirect objective: Assisting a lucrative trade in passports. The sales are legal, and lucrative, with the world’s rich thought to spend over $2 billion on “citizenship by investment,” or CBI. But reporting and interviews with industry insiders show how a nexus of buyers, officials, citizenship agents, and consultants has helped enable criminals and ignited political wildfires that continue to rage even now. In at least five Caribbean nations, the company’s campaigns were backed by Christian H. Kalin, the chief executive of Henley and Partners, a London-based firm that markets and sells second passports, and helped support politicians thought to be sympathetic to Henley’s interests. With a friendly politician in office, according to people familiar with the arrangement, Henley could then become that country’s primary passport merchant, giving it the right to earn lucrative commissions on every sale. 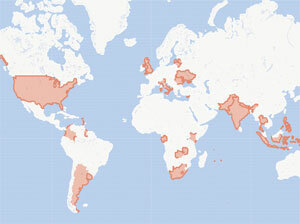 Where SCL worked on campaigns, in some cases with support from Christian Kalin. “It was a particular way of achieving his strategic objective, which was to supply money and supply campaign provision to put in to power the government that would be conducive to both him and his clients,” Sven Hughes, who worked on the campaigns as SCL’s head of elections from 2009 to 2010, told Fast Company. 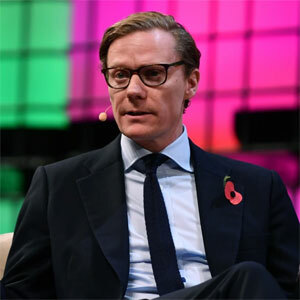 To win elections, he said, SCL’s then-CEO Alexander Nix regularly turned to questionable techniques, including the hidden-camera video. Well before the 2010 campaign in Saint Kitts, Henley and Partners worked with Denzil Douglas’s government to turn the country into a citizenship Mecca. For the bargain price of $150,000, approved applicants who donate to the island’s sustainable growth fund can now obtain a passport that, as of 2009, allows visa-free travel to over 100 countries, including the U.K. and the 26-nation European Schengen zone. 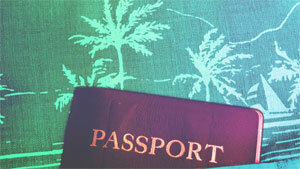 In Dominica, a similar passport can now be had for $100,000. For those interested in investing in real estate, the passport fees are even lower. 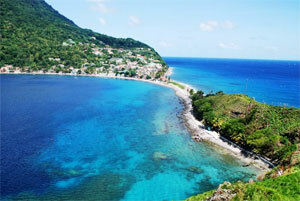 But Saint Kitts and Dominica offer two of the world’s cheapest, largest, and oldest CBI programs. And, unlike some rich countries that require aspiring citizens to actually reside there, Dominica, which is just 290 square miles, and Saint Kitts, which is only 105 square miles, do not. Many of the passport holders are from countries with unpopular passports who may otherwise have trouble obtaining travel visas—think Iran, China, Russia, Afghanistan, Pakistan. The firms say their well-heeled clients are seeking protection against unpredictable situations at home amid an era of terrorism fears and economic instability. But the investment programs have also proved popular with a Who’s Who of fugitives and fraudsters. Convicted felons Paul Bilzerian and Roger Ver gave up their U.S. citizenship and now use Saint Kitts passports. Ross Ulbricht, the founder of the illicit marketplace Silk Road, now appealing a life sentence handed down by a U.S. court, was attempting to obtain Dominica citizenship when he was arrested. Like data about the passports—it’s not publicly known how many are out there and who holds them—the precise role of firms like Henley and SCL has also remained mostly in the shadows, the subject of allegations of dirty tricks, kickbacks, and hidden commissions that have circulated across the Caribbean for years. Then in March, as allegations by former SCL employee Christopher Wylie and Channel 4’s reporting documented a litany of misdeeds by the company, details of the Kalin-SCL relationship first began to emerge in a report in The Spectator. In an interview with Fast Company, Hughes, the former SCL elections head, said that Kalin was “heavily involved” in the campaigns. As part of the partnership, the Henley CEO would supply financing from unknown investors, provide talking points for candidates, and discuss with them various development projects they could expect once in power. “That might be the building of an airport, that might be building a deep seaport, that might be real estate,” said Hughes. It isn’t clear if any such projects materialized. Nix would become Cambridge Analytica’s CEO when the firm was founded in 2012, with backing from the U.S. hedge fund billionaire and Trump donor Robert Mercer. The company, which declared bankruptcy in May, is now under investigation by British and American authorities. Nix also told lawmakers that the claims he made in the Channel 4 video about deploying bribes and stings during elections were fabricated and “foolish.” Rather, it was he who had been the victim of an “entrapment sting” by the television network, he said. Representatives for SCL did not respond to a request for comment. 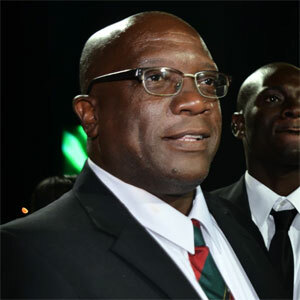 Timothy Harris, the prime minister of Saint Kitts, said his government would await the outcome of the British investigation before commenting on SCL’s and Kalin’s work in Saint Kitts. “The electorate needs to know who and what they are voting for and should not be manipulated through the use of clever analytics,” Harris said in an emailed statement to Fast Company. Harris encountered SCL’s work in 2015, when he was running for office against Denzil Douglas on a pledge to reform the country’s passport program: Nix, according to a report in the Guardian, turned to a team of Israeli hackers to obtain the candidate’s private emails and medical records. Harris won that election, and amid global scrutiny of the country’s citizenship investor program, Henley and Partners was dismissed as the country’s main passport seller. In 2014, Henley also lost its position as the primary agent for Dominica’s passports, after SCL’s second attempt to unseat incumbent Prime Minister Roosevelt Skerrit failed. Despite its boasts of having never lost an election, SCL often lost in the Caribbean. 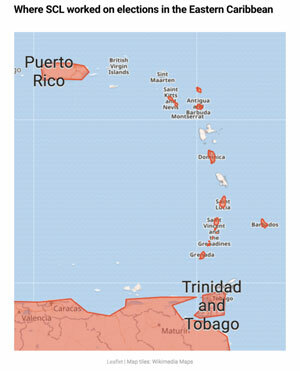 The elections firm worked on unsuccessful political campaigns in Dominica, Grenada, St Lucia, and Antigua and Barbuda, where it was accused of spreading deliberately false stories. An unsuccessful campaign for the then-governing party in Trinidad in 2013 has drawn the scrutiny of the country’s attorney general. Ahead of 2010 elections in Saint Vincent and the Grenadines, Prime Minister Ralph Gonsalves complained that SCL had illegally brought in foreigners on tourist visas to work as political consultants, an accusation echoed in the recent firestorm over Cambridge Analytica’s work for Donald Trump. The fourth-term prime minister—who is alone among the region’s heads of state in resisting citizenship-by-investment programs—also accused foreign actors of spreading a barrage of false stories about him during the campaign. At the time of her murder, which remains under investigation, Caruana Galizia was facing dozens of defamation lawsuits, including from Henley as well as the cofounder of Malta’s Pilatus Bank, Ali Sadr Hasheminejad. The son of one of Iran’s richest men, Hasheminejad has been linked to money laundering and other corrupt activities with officials in the prime minister’s inner circle. He was also one of Henley’s most prominent customers: the firm helped him secure a Saint Kitts passport in 2009. (When federal agents arrested him in March at a Washington, D.C. airport on charges of evading U.S. sanctions against Iran, he was carrying four passports.) A spokesperson for Henley said that the firm had no relationship with Hasheminejad, and that it had rejected a proposal of his to collaborate on Malta’s passport program. Since Henley lost its position as the primary agent for marketing Dominica and Saint Kitts passports, another London-based citizenship firm called CS Global Partners has risen in its place. Founded and led by a former attorney at Henley and Partners, CS Global is said to have been financed in part by a British-Indian investor named Dev Bath. Bath, who served as a director at the firm for over a year, remains a consultant to the company. His LinkedIn profile doesn’t mention CS Global, and describes him only by his title, “Special Representative of St. Kitts and Nevis,” which furnishes him with a diplomatic passport to the country. Last year, Davis’s lobbying work on behalf of Saint Kitts raised eyebrows in Parliament, particularly around the question of who paid him and his law firm more than $96,000. His services—lobbying U.S. and Canadian authorities to lift their restrictions on the country’s passports—”comes at no cost to our government,” Prime Minister Harris told the National Assembly in 2015. Indeed, as public filings indicate, Davis’s fees were paid by CS Global. 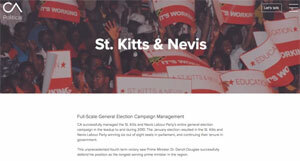 In an email to Fast Company, Davis said he had ceased representing Bath and Saint Kitts over a year ago. “Dev Bath and CS Global perform a valuable service,” he added. Bath declined to comment for this story. In recent months, one of Bath’s longtime business partners has thrust the country into a fresh storm of bribery allegations. Peter Singh Virdee, a property magnate also of British-Indian descent, had sought to secure solar energy contracts in the Caribbean as part of a renewable energy venture. 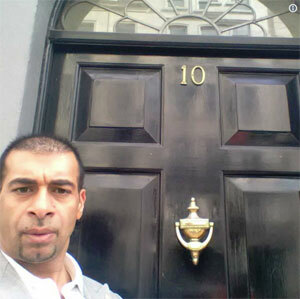 In one 2016 phone call, disclosed in a British court in May, Virdee described to an associate the need to entertain the prime minister of Saint Kitts and his entourage in London that evening, “so be ready for a big bill.” In another conversation, Virdee, who also holds an Antiguan passport, said that Saint Kitts’s prime minister had asked for a watch and a pair of shoes. In a preliminary judgment, the U.K.’s National Crime Agency stated that “the claimants were ready and willing to pay bribes, and had given at least one gift to a Caribbean politician.” Virdee, who was arrested in January 2017 at Heathrow Airport on separate charges of a plot to evade millions dollars in carbon credit taxes, has denied any wrongdoing. Douglas–who himself has admitted to once meeting Virdee in the presence of Henley & Partners–is currently embroiled in his own passport scandal: It was recently revealed that he also holds a diplomatic passport from Dominica. The second passport is now being examined by Saint Kitts’s High Court. Last year, as part of efforts to raise money to rebuild infrastructure heavily damaged by Hurricane Maria, some Caribbean nations began to drastically cut their passport fees. In Dominica, Antigua, Barbuda, and Grenada, an investor passport can now be obtained through a $100,000 donation to a national fund. And investors seeking to obtain citizenship from Dominica, Saint Kitts, Antigua, or Grenada also have a new option: For an investment of at least $200,000 into a government-approved real estate project, a customer can obtain a passport for about $50,000, half the typical price. In Saint Kitts, the application process now typically takes three to four months, but an accelerated process also allows clients a guaranteed outcome—including issuance of the passport— in 60 days or fewer. In October, after other impacted islands lowered their prices, Saint Kitts also set up its own Hurricane Relief Fund and reduced the price of citizenship through its real estate investment option, from the standard of rate of $150,000 to just $75,000 for a family of four. The new fund has brought in record numbers of applicants: Over a five-month period, according to rough statistics released by the prime minister, the island of 50,000 people attracted 1,200 investor passport applications. In April, the head of Dominica’s CIU program said that the country had seen between 1,500 and 2,000 applications over the course of the last year. The Saint Kitts fund was “a win-win for applicant and country,” Micha Emmett, CS Global Partners CEO, said in a press release. But Douglas, the former prime minister, blasted it as “a blatantly opportunistic move”: Since Saint Kitts had emerged relatively unscathed from Hurricane Maria, the fund had effectively undercut recovery efforts on other islands, he argued. Opposition parties in both countries continue to raise questions about the programs, including about how much revenue they have earned and where that money is. As of 2014, Saint Kitts’ Sugar Industry Diversification Fund, to which most aspiring citizens had donated, had reached $1.5 billion in Eastern Caribbean dollars, or about U.S. $550 million. However, according to an estimate by Dwyer Astaphan, former minister of national security and tourism, the total donations to the fund should have amounted to a number closer to around $611 million. The discrepancy is due to the passport agents’ override commissions, he alleges, estimating that passport consultants have pocketed some $61 million. Dominica and Saint Kitts also do not disclose comprehensive data about their normal or diplomatic passport holders. For instance, Dominica’s January 2017 Official Gazette listed the 2011 passport recipients: 288, compared with a total island population of around 80,000. In February 2017, as revelations emerged that the government had sold diplomatic passports to alleged criminals, public frustration over the passport sales boiled over into violence. After demonstrations in the capital Roseau deteriorated into vandalism, police in riot gear used tear gas against the crowd. Cleaning up the Eastern Caribbean passport mess likely requires larger sociopolitical changes that are unlikely to occur soon. One measure, however, might be close to a quick fix: laws against non-citizens paying for or participating in election activities. Of course, this would still not prevent holders of investor passports from participating. But it might help preclude quickie carpetbagging of the type practiced by firms like Cambridge Analytica. Meanwhile, both islands’ passport programs continue to flourish, thanks to tight relationships with industry partners. In April, Dominica appointed Nuri Katz as its ambassador to the Russian Federation, whom a government press release identifies as “a founding member of a number of businesses in Canada, Russia, and Ukraine.” (Katz holds a number of passports.) The government’s announcement about his appointment, however, does not mention his occupation, which suggests a conflict of interest: Katz is also president of Apex Capital, another prominent passport firm. 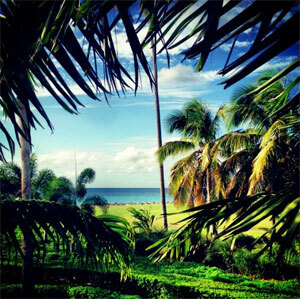 The company is currently offering several real estate investment options in Saint Kitts and Dominica. Ann Marlowe, a visiting fellow at the Hudson Institute, is a writer and financial investigator in New York. Follow her at @annmarlowe. With additional reporting by Alex Pasternack (@pasternack).